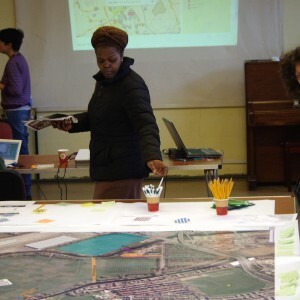 Mapping for Change works with groups and organisations who want to understand, improve and produce information about the places that matter to them. 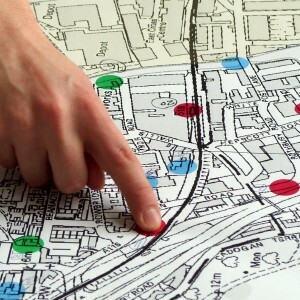 We offer a range of participatory mapping services to voluntary and community groups, business organisations and government bodies. Maps can show you where you are. But a good map can also show you where you want to go, and how to get there. 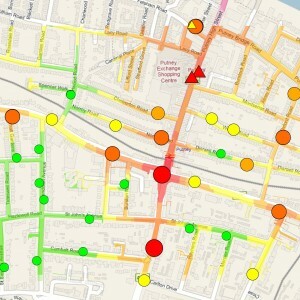 With a map, you can communicate, analyse and enact change. We work with communities to achieve social and environmental change in their local area. Environmental problems affect us all. Citizen Science can give you a voice. Let’s collect the data we need to raise awareness and fight for change. Low tech and affordable methods mean that everyone within a community can get involved and become a citizen scientist. Does your organisation work with community groups? We can design and implement a unique engagement approach, tailored to your particular requirements. With over 15 years experience in the community and voluntary sector, we understand how to reach and involve people. Space is complicated. Map visualisation & analysis can help you to understand and discover what’s going on. We have expertise in the use of Geographical Information Systems, and we can apply it to meet your needs. It’s good to collaborate. 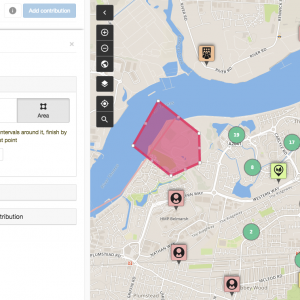 Contribute, share and discuss your ideas about the places that matter with Community Maps, our online participatory mapping platform. Community Maps provides an effective tool for community and multi-stakeholder consultation across a range of projects and sectors.